Below are resources to assist those preparing for the PMP exam. I originally created the interactive ITTO guide when I was preparing for the exam back in May of 2007 while taking a prep class sponsored by PMI-LA, and decided to put it on the web in case my classmates found it useful. 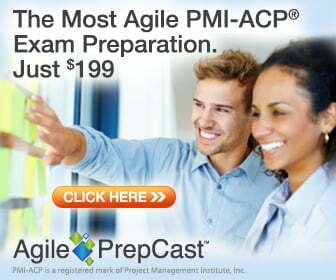 I then taught a couple of sessions for the very same prep class sponsored by PMI-LA in the Fall of 2007, and added the additional resources for the students. For those visiting and preparing for the exam, I hope you find the resources useful, as I wish to give back to the online and offline community which helped me greatly when I was preparing for the exam. I graduated from Umass – Lowell with a certficate in PM, and have taken my PMP exam yesterday, and did not pass (though close). What would you suggest for study materials or approaches for me to move into next? Thank you for visiting my site! If you read part 2 of my PMP prep advice, it lays out some strategies on studying for the exam to pass. I think if you adopt the “medium” to “long” strategy and look at internalizing and understanding how the framework builds an overall set of practices to follow it will sink in better and you will have to rely less on memorizing. Though the PMBOK may seem too abstract when first encountered, at it simplest level it is a large input-output system whereupon you would be typically tasked with completing some task or item for your project. So for example, if you were in the initiating phase of your project and you were tasked with having to produce a project charter how would you go about it? Look at the initiating process section in the PMBOK (or you can use my ITTO tool) and see that there are typical inputs such as organizational process assets, SOWs, contracts, etc. where you would use your “expert judgement” (mental tool & technique) to put together the Project Charter output. The whole of the PMBOK outlines this path that contains components of knowledge that is typically considered best practices outlined by the blood, sweat and tears of all the PM practitioners who put together and documented it in the PMBOK then standardized it with the ANSI and ISO bodies which are recognized all around the world. Start viewing and studying it this way and you’ll retain data better by viewing it within the “flow” of a project’s process and less on trying to memorize discrete sections of the guide or study book. I’m positive you will pass on your 2nd try. Good luck and let us know how it went! Consider joining the forum or subscribing to the newsletter to stay up to date on PM news you can use. please provide link to excel file. I am working on my application for the PMP exam and I have a question. Does PMI contact our Project Contacts regardless whether one is being audited or not? I mean do they contact to verify each applicant’s eligibility or its just part of Audit only? Please download and read the PMP audit tips. I am in the process of filling the PMP application, I am now stuck at a point and need some help. The current project i am working is still in execution and monitoring phase so i do not know how to fil the application for this project for Closing phase. Can i leave as 0 (Zero)for closing and mention that the project is still ongoing as per schedule and in add/edit oexperince tab and proceed submitting the application? Please advise on how to rephrase my statement for closing process for this project to fill the experience form. Hello, for the PMP application project description section, is it supposed to be under 550 characters? and does that include spaces?